This handmade 53 X 61 Floral Trees quilt done in 100% Cotton quilting fabrics would make a beautiful gift to any of your loved ones or friends. This quilt is done in a holiday pattern. The pictures does not do this quilt justice. It is so much better in person. It is a must have! 100% quilting cotton, matching background white fabric and Hobbs 80/20 batting. 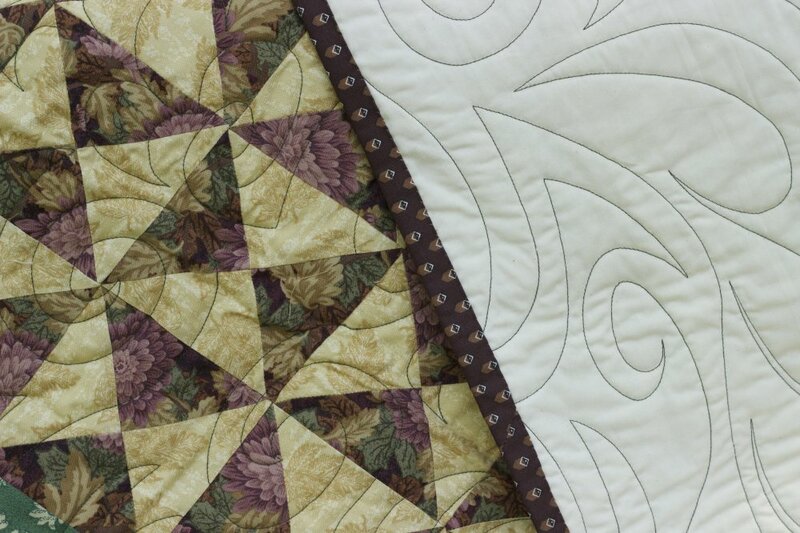 The quilting stitch is done in a beautiful paisley meander pattern. Binding is sewn on by hand. Machine sewn in a pet free studio, smoke free home. Professionally quilted on my Gammill Statler Stitcher Longarm Machine to give the quilt that vintage feel. Give this as a gift for someone special. Enjoy this cheerful piece of art and stay warm. Feel Free to contact me if you have any questions.